Manchester United finds themselves in a similar situation to last season. The team has nothing left to do in the Premier League, as their spot in the standings has already effectively been confirmed. The team also have eyes on a cup final at the end of the year, and want to make sure their star names are ready and rested for that game. Mourinho gave plenty of underutilized players a chance to shine last time out, and United fans should expect to see the same soon. With two league games left, versus West Ham and Watford, here of some players who should get plenty of game time in these upcoming matches. United might have the best depth chart at the goalkeeper position in the world today. De Gea has proven that he’s the best keeper on the planet, while Sergio Romero is a reliable backup who has stepped up whenever given the opportunity. Behind them in the pecking order, Man U have a potential star in Pereira, who could be next in line for the position. He is already touted as the future starter for the Portuguese national team, and had impressed his fellow compatriot Mourinho time after time. Pereira has seen the field for United in the past, and should be the man between the sticks to end the league season, allowing him even more experience at the highest level. It hasn’t been the perfect debut season for Lindelof, who came over last summer from Benfica. He has fallen in and out of the starting lineup, with mistakes and injuries keeping him on the sidelines. However, many still believe he is the man for the future, and can be the perfect partner for Eric Bailly at the heart of the defense. He should be given as much time as possible in the Premier League, allowing him the chance to future adapt to the English game. The Swede also has a World Cup on the horizon, and is set play a vital role in his nations backline this summer. Mourinho has stated that he’s not playing Bailly since the Ivory Coast are not going to Russia, so he should hand those first teams minutes to Lindelof to help him further prepare for the World Cup. 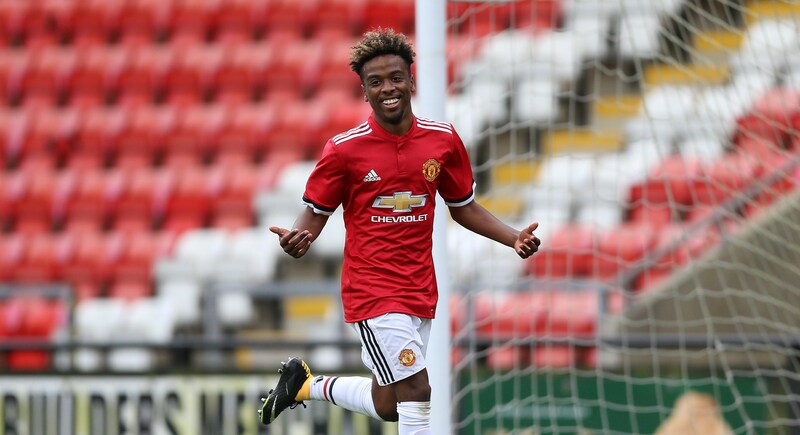 Angel Gomes might have only gotten less than five minutes with the first team this season, but he was able to make those few minutes count. Coming on as a late sub in United’s FA Cup win vs Yeovil, the teenager was able to show fans why he is seen as a player for the future. Gomes almost got onto the scoresheet immediately, dribbling past his marker with ease, but just hit his shot wide of the near post. He might not have played a direct role later on, but United scored two more after his introduction, which can only be a positive sign. The Englishman should get more time in either of the final two league games, allowing him the chance to see how his game translates to the first team. The Dutchman was recently named the clubs youth player of the season, and should get the chance to show his talents with the first team. Chong is one of the most exciting teenagers on the planet, and consistently dominates at the academy level. The wide midfielder is quite the presence, possessing the strength to keep the ball in most situations, and the dribbling ability to keep the ball away from defenders. He also has the technical ability to match, able to finish off any attacking move with a clever pass or well hit shot. Some fans haven’t seen much of the player, limited to the occasion highlight video that is posted on social media. The end of the EPL season would allow Chong the chance to shine in front of a much wider audience, showcasing why there is so much hype surrounding him. Usually, these meaningless games at the end of the season see teams roll out their youngsters to give them a chance. However, this year will prove to be an exception, and with due reason. Michael Carrick is set to retire at the end of the year, and join the United coaching staff. It hasn’t been the ideal end to his playing career, as a heart scare and other injuries has seen his time on the field been limited this season. Thankfully, he should be able to take part in the final matches of the league campaign, allowing him an ideal send off to his fabled United career.